At the Battle of Germantown on October 4, 1777, during the American Revolution, British forces in Pennsylvania defeated the American Continental Army under General George Washington (1732-99). After capturing Philadelphia in September 1777, British General William Howe (1729-1814) camped a large contingent of his troops at nearby Germantown. Washington launched a surprise attack on the poorly defended British camp, but his army failed to pull off his complex battle plan. The British drove away the Americans, inflicting twice as many casualties as they suffered. 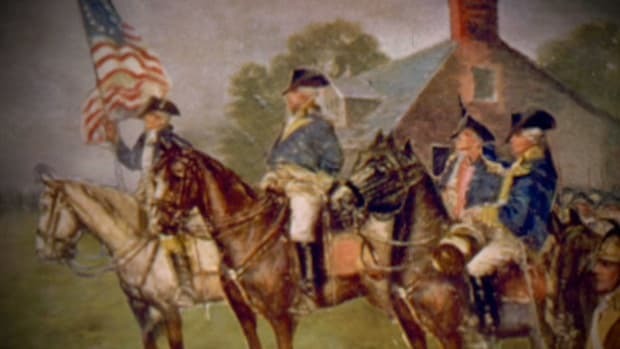 The defeat at Germantown, which came soon after a similar loss at Brandywine, led some prominent Americans to question Washington’s leadership. 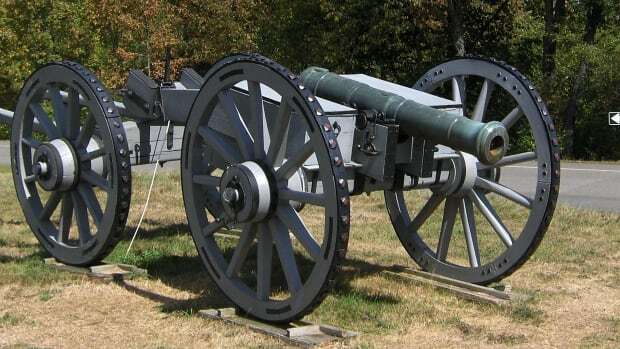 However, despite the losses, many of his soldiers had performed well, and Germantown demonstrated that Washington’s once-unskilled army was on its way to becoming the well-trained force that would win the war. 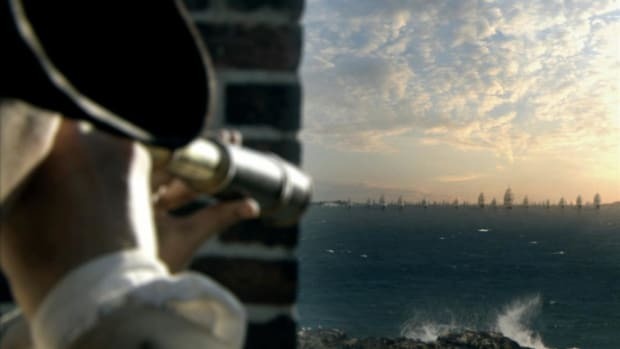 Colonial resistance to the British Empire’s attempt to tighten its control over its North American colonies resulted in the American Revolution, which broke out in 1775 after years of conflict. In the first years of the war, most of the fighting took place in the North. 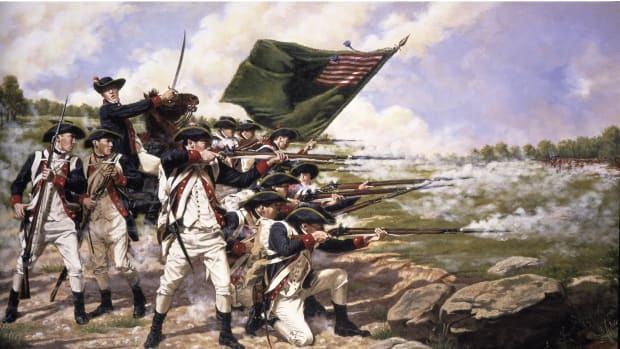 Though driven from Boston in the spring of 1776, British forces had captured New York City later that same year and launched invasions from Canada in both 1776 and 1777. Also in 1777, General William Howe, the commander of British forces at New York, led an expedition to capture Philadelphia, the de facto capital of the United States and the home of its national government, the Continental Congress. Howe’s expedition departed from New York in July 1777. It took a circuitous coastal route toward Philadelphia, avoiding the American-controlled Delaware River and instead sailing up the Chesapeake Bay to the tip of the Elk River in Maryland. From there, Howe and his soldiers intended to march to Philadelphia. General George Washington, commander-in-chief of the Continental Army, attempted to block Howe from taking the city. 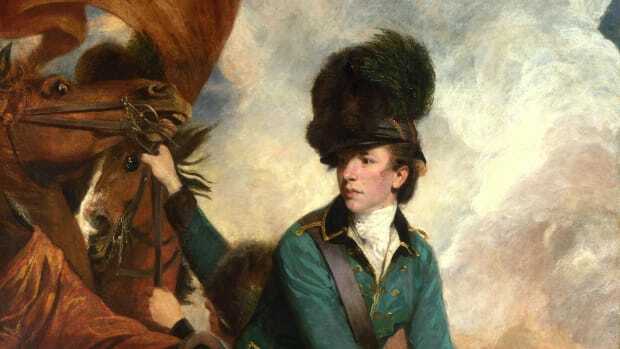 Washington situated his army between Howe and Philadelphia along the shore of the Brandywine Creek. 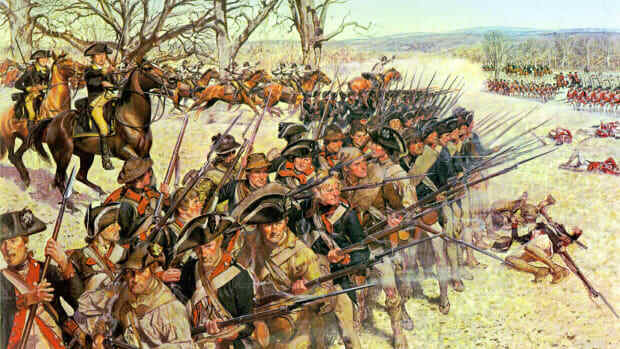 However, in a battle fought on September 11, 1777, Howe drove the Continental Army from the field. Although Washington remained in Howe’s path, the British general outmaneuvered him and marched his forces into Philadelphia two weeks later, on September 26. Fortunately for the Patriot cause, the members of the Continental Congress had already fled the city before the British arrived. The British did not control the Delaware River, an important supply line for Philadelphia, so Howe felt that he could not risk bringing his entire army into the city. He posted 9,000 soldiers in the nearby area of Germantown (now a section of present-day Philadelphia). When he learned that Howe had divided his forces, Washington determined to strike the Germantown contingent. Did you know? The first written protest against slavery in America was signed in Germantown in 1688. Today, the table where the document was signed is housed at the Germantown Mennonite Meetinghouse in Philadelphia. Four roads led to Germantown. Washington decided to send a separate force along each route, hitting the British from four sides at once. Like many of the plans Washington drew up in the early years of the war, his plan for Germantown was better suited for a theoretical exercise than for an actual 18th-century army composed in part of raw troops and poorly trained militiamen. Coordinating separate assaults from far-removed positions was always tricky; an attempt to coordinate four separate assaults was likely doomed to fail. Washington’s army divided into four columns on the night of October 3 and marched toward the four separate staging points from which they were to launch their simultaneous attacks at dawn on October 4. One column had trouble finding its way and failed to reach the battlefield. A second column fired at, but did not charge, the enemy camp. 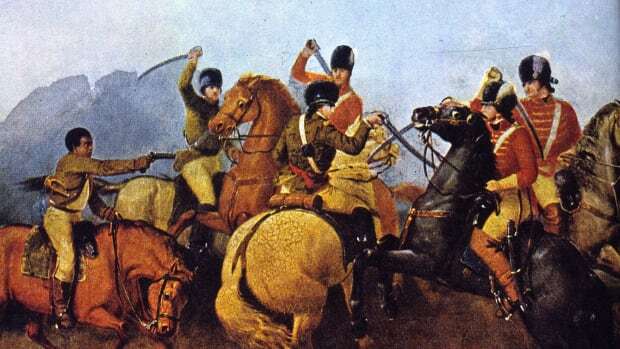 The column tasked with attacking the center of the British camp, led by General John Sullivan (1740-95), was the first to engage the British in spirited combat. Sullivan’s column caught the British pickets by surprise and succeeded in driving back the startled British army. The tide of the battle turned, however, when the last column, commanded by General Nathanael Greene (1742-86), entered the fray. Greene’s column had had farther to travel than the center column and so had gotten a later start. By the time it reached the British camp, the field was obscured by a thick fog and gun smoke, and Sullivan’s column had already pushed well into the British camp, into Greene’s path. The two American columns stumbled into each other and, unable to make visual contact, fired upon each other. (It did not help that the commander of one of Greene’s divisions, General Adam Stephen, was noticeably intoxicated when he brought his men into the battle.) By the time the two columns realized what had happened, they faced a punishing counterassault from the British that drove them from the field. 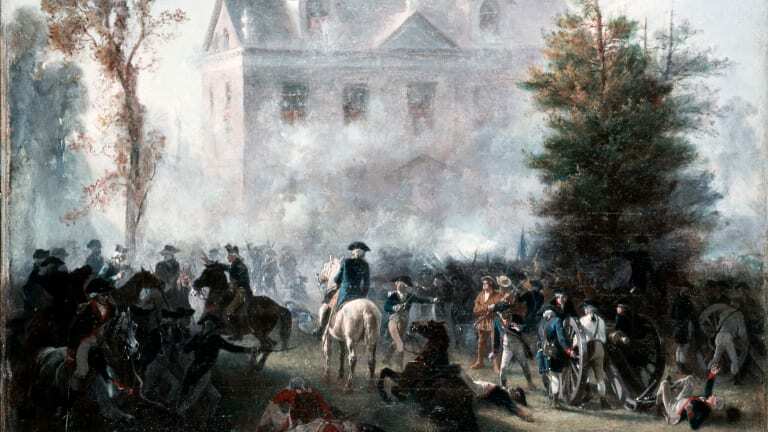 The Battle of Germantown was Washington’s second defeat in less than a month. As at Brandywine, his army suffered twice as many casualties as it inflicted–approximately 1,000 Continentals (including those injured, killed and missing) to 500 Redcoats–raising questions about Washington’s fitness for command. While Washington was losing to Howe around Philadelphia, another Continental general, Horatio Gates (1728-1806), was repeatedly besting British forces under General John Burgoyne (1722-92) in central New York, culminating in the surrender of Burgoyne’s entire army at Saratoga on October 17, 1777. 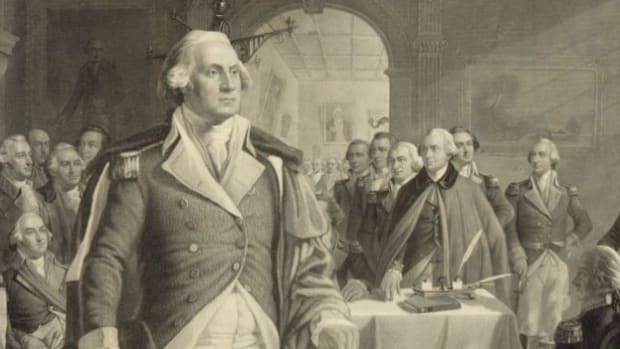 A vocal minority in Congress and in the military began to whisper that Washington should be relieved of overall command of the Continental Army and Gates appointed in his place. 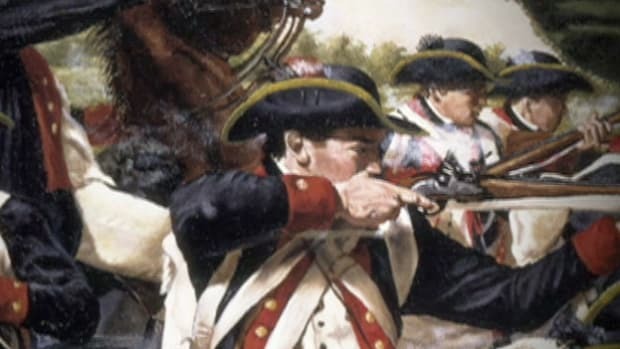 However, despite the defeat at Germantown, Washington could take solace in the fact that the soldiers of his Continental Army conducted themselves well in the heat of battle. The professionalism and discipline displayed by the American army had improved noticeably since the American Revolution began. Shortly after the Battle of Germantown, Washington’s army retired to a winter camp at Valley Forge, Pennsylvania, where–with help from the Prussian General Von Steuben–it was able to further hone its skills and emerge the next year a superior force.